Looking for a fun way to reconnect or get to know someone better? Cook up some fun and romance at one of these Boston cooking classes. Food is love after all. Cooking together and spending time over a shared meal is a universal way of bonding. It is also a great way to explore different cultures and traditions and step outside the box a bit – novel shared experiences can also bring us closer together! Cooking together provides all of this and more in a couple experience. Whether you are an expert foodie or a novice in the kitchen, preparing new foods, drinks, and cuisine is a fun exciting way to spend time together. It will not only build your bond but give you some new skills or ideas to continue on with your food adventures at home – a practical bonus! So put some time aside to feed your need for adventure and add a cooking class or two in to your usual date night repertoire! Hopefully, you will be inspired to get out there, get cooking, and prepare a special night with that important someone to make fun memories that will last!! Mangia!! Voted one of Boston’s Best Cooking Teachers by Expertise two years in a row, no matter what your culinary skill level is you are sure to leave here with some new tricks up your sleeve! The teachers are engaging and upbeat while the venue is unique. Tucked inside a quirky and fun neighborhood store, you will find amazing cooking class offerings perfect for date night! The choices here include everything from Brunch with mimosas to healthy eating to date night specific themes such as French Bistro and Steakhouse night. Prices even include a wine sampling! Exploring this special store and its sundry is also a part of the fun here. Bring back some fun or delicious finds from their selections of craft liquors, international foods, cheeses and cookware as a reminder of a great evening together. Check out their schedule and register for some fun upcoming classes! A fun idea for a truly memorable and out of the box date night is enjoying a cooking lesson from a private chef in your own home! Whether just you and your special date or a small intimate gathering with friends, Chef Joe Gatto will bring his love of homemade food from scratch to you and give hands-on cooking lessons in the comfort of your own home or private venue. Learn to make anything from scratch from tamales to fresh pasta to pizza and more then feast on the amazing creations right in the intimate setting of your own home. Sometimes you truly don’t have to travel very far to have a date night experience that takes you away. Check out Chef Joe and plan your special night of cooking and connection right at home! 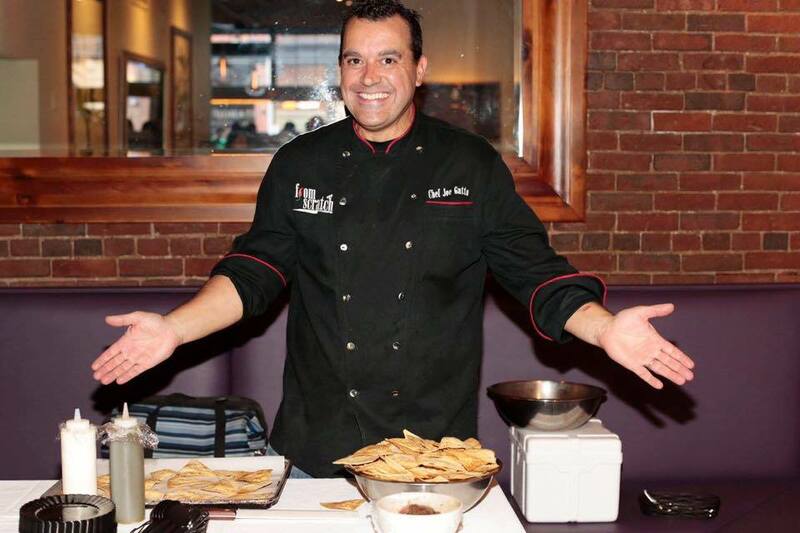 Chef Joe also hosts and participates in a lots of culinary events, cooking demonstrations, and classes throughout the year in the Boston area. From rooftop cooking classes in Kendall Square to date night themed class instruction at Duck Soup, Chef Joe is the one to see for a fun culinary escapade! You probably would not think of heading to the mall for the perfect culinary date night. However, the cooking classes at Sur La Table will have you rethinking that mall date after taking one of their many class offerings. Nestled inside this chain store peddling fine kitchen essentials are some of the most fun and engaging group cooking classes in the area. Sur la Table offers an array of themes to choose from ranging from Italian to Mediterranean to taco night and more. Add in seasonal date night themes and these classes are a fun way to step outside the box and explore new cuisuines without having to travel very far! 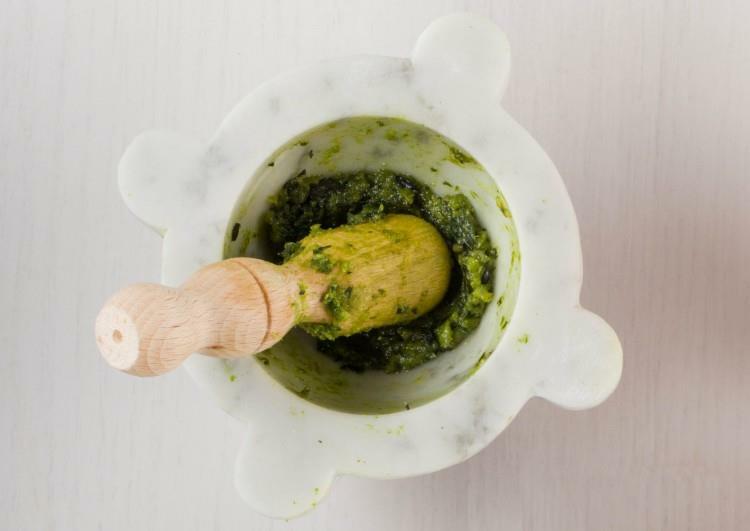 They offer 10% off any in store purchases the day of your class so if you find yourself inspired to continue on your culinary adventures at home you will have an incentive to stock up and be prepared! Check out both their Copley Place location as well as their Natick Collection location for a fun, engaging and unique mall date! Here is the place to impress your foodie date. Stir is famed Bostonian Chef Barbara Lynch’s demonstration kitchen offering a special and unique space for an intimate cooking experience. An opportunity to learn from and share food and wine with some of the best chefs around. Their hands on classes are small and include up to 6 guests. Stir is also part bookstore offering selections of cookbooks on a variety of local and international food and drink subjects. 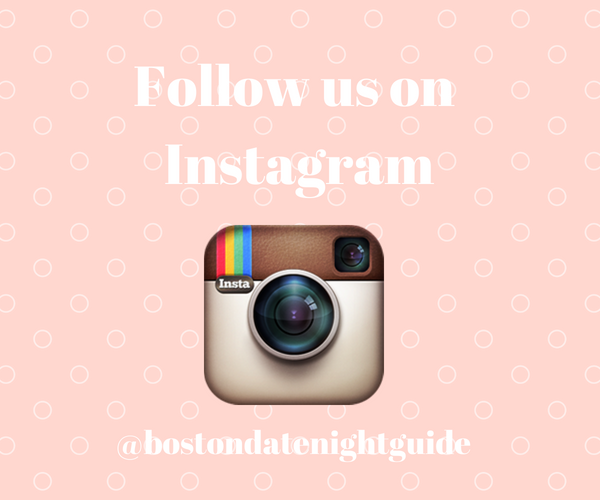 Create a truly memorable Bostonian culinary date night here. Also be sure to check out their seasonal offerings such as the summer picnic basket series of prepared solid birch picnic baskets to take out for a special picnic for two in the city! Short for “eat Italian”, Boston Eataly is the place to eat, shop, and learn all things Italian under one roof. Housing a market place, numerous cafes, diverse food counters and four restaurants, there is a never ending list of culinary experiences to engage in here! And, of course, numerous Italian themed cooking classes perfect for a date night experience. Take your date on an Italian culinary adventure without leaving the city – though you may feel as if you are transported while you are there. Eataly has a variety of times and class experiences offered from the basics like Fresh Pasta 101 to wine and cheese making classes. Check out their current offerings and plan your culinary “getaway” (at least for a few hours anyway) at Eataly! Does your date have a sweet tooth or special love of all things chocolate? Why not switch things up and start your date with dessert! A chocolate making class could be your dream date. Beth’s Chocolates in Newton is a purveyor of small batch hand made artisan chocolates. Here is a place where you can spend an afternoon or evening in chocolate lover’s heaven – making and eating chocolates. Class offerings include learning how to make your own chocolates from truffles to bark and more. Indulge your date and check out this unique opportunity for a sweet date experience. Shiso Kitchen is located in Somerville between Harvard and Union Squares in the midst of a burgeoning culinary hot spot. It is a great location and a cool space to head on over for a date night adventure. The creation of Chef Jessica Roy, Shiso has something for food lovers of all skill levels with a specialty in small cooking classes. Classes range from Knife Skills 101 to An Evening in Paris. There is also a special Couple’s Date Night theme teaching you romantic dishes you can make together here and enjoy together again at home. Check out the website for more information on a night out at this fun cooking spot! Joyful Kitchen touts itself as a boutique cooking school and indeed it is just that. The small lessons are held in Chef Amy Lipton’s own kitchen and it is an intimate setting hosting classes of up to 8 people. This is a great opportunity for cooking class experience in a more relaxed atmosphere. For a fun, hands on cooking class experience check out her website for upcoming classes and information. Offering a unique date night experience just outside the city, Create a Cook offers small classes with a range of special date night themes from Burger Bistro to Mexican to Thai cuisine and more. Bring your own wine and get ready for a fun night of a hands-on cooking and ideas to liven up the everyday cooking routine back home. For private cooking classes or a special themed night out with a group of friends, check out Chef’s Kitchen on Main. The kitchen here is outfitted with a fully licensed commercial kitchen so patrons can experience cooking at the professional level. There is also a beautifully appointed dining room area with an intimate ambience to feast on their culinary creations. The kitchen is yours for the evening and you can plan a private dining experience to your liking or choose from their current list of offerings! The classes and themes are varied and may change seasonally. Check them out! Culinary Underground is a fun school for home cooking classes. The focus here is on cooking real food that you would make at home for more than just a special occasion. So if you and your date are looking to further sharpen your everyday skills in the kitchen these classes have you covered. The offerings range from workshops on mastering the basics and weeknight cooking to international dishes and cheese making. They also have special couples nights with themes such as Pasta Bar, Greek Taverna, and Steakhouse. For a special night of food and fun check out their current and upcoming class listings. 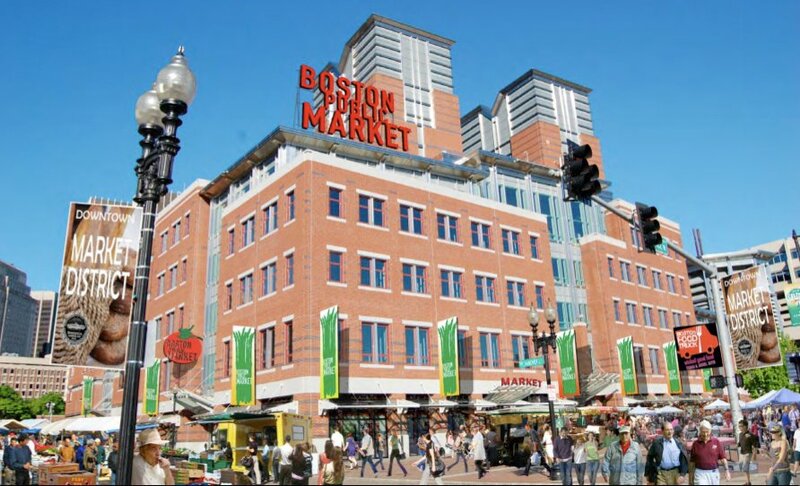 An amazing location within Boston Public Market with a great purpose – promoting whole foods, local farmers and artisans. The Kitchen offers demos, tastings, and workshops on various cooking styles and cultures. They even offer chef led hands on classes showcasing these local flavors and styles in a fun interactive experience. After being inspired in class, be sure to spend time exploring the amazing Boston Public Market with all its seasonal offerings from our local farmers. The location here is in the heart of the city near both the North End and Faneuil Hall as well as across from the Rose Fitzgerald Kennedy Greenway. A cooking class at the Kitchen could easily extend into a tour of some of Boston best spots and beyond. Perfect for a day date as well. Find a class that inspires your perfect date and check out their current events here.